A compelling fusion between a Western string quartet and African vocal music! 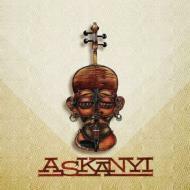 ASKANYI - meaning peoples in Senegal's official language - is a mix of artists with African and Western origins, who seek to create a space in which both cultural dimensions can come together. ASKANYI speaks about universal questions harmony, passion, and an energy that is both fierce and serene.